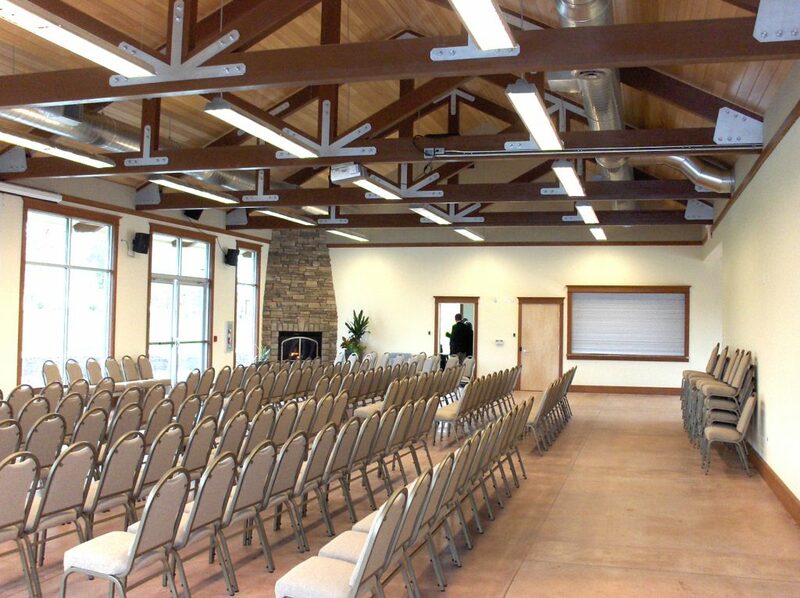 This building was part of a multi-phased project and master plan for an existing church campus and conference center including this new 3,700 sq. ft. dining hall, a 16,500 sq. ft. gymnasium/multi-purpose building, and a layout for both 60 RV campsites as well as 20 – 600 sq. ft. single-story duplex cabin units, a 600 sq. ft. single-cabin unit and a 1000 sq. ft. club house. The final phase of design and planning included an 8,500 sq. ft. addition to the existing church building and a remodel/addition of a 5,500 sq. ft. 11 room single-story residential dormitory kitchen.